New apartment at 100mts from the ski resort. 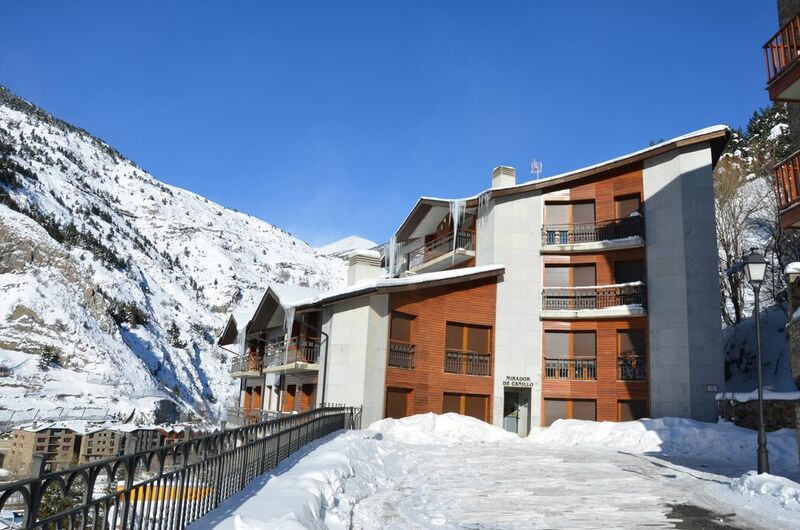 This appartment is situated in a new high standing building at just 100mts from the biggest ski area in the Pyrenees (Pas de La Casa, Soldeu, Tarter, Grau-Roig, Forn). "Very pleasantly surprised. The apartment was great and ideal for our needs. Both Jaume and Florence were fantastic hosts who were very accomodating and always available if needed. Highly recommended!!!!" "A beautifully presented apartment with everything you need.Generally a quiet apartment, but the walk up the hill will not suit everyone. A great location for those requiring access to the gondola. Mr Esteve was brilliant to deal with and I would recommend this apartment for a great holiday." "Very friendly welcome, property was clean and very well appointed. Some local information would have been useful such as good walks, restaurants etc. Perhaps you could encourage guests to include these in the comments book in the apartment." Apartamento comfortable, limpio, las camas comodas. Die Wohnung hat alles was eine fewo benötigt. Etwas klein und leider zum Felsen gerichtet, also recht dunkel. Der zugewiesene Parkplatz im Parkhaus ist sehr klein und die Zufahrt abenteuerlich. Mit unserem VW Passat hatten wir keine Chance. It can also be accessed from France (10 km direction Andorra La Vella). The 'Palau de Gel' is a modern sport center with swimming-pool, squash, Tennis and a good restaurant. In Escaldes you will find Caldea (thermal center), and the shopping area.